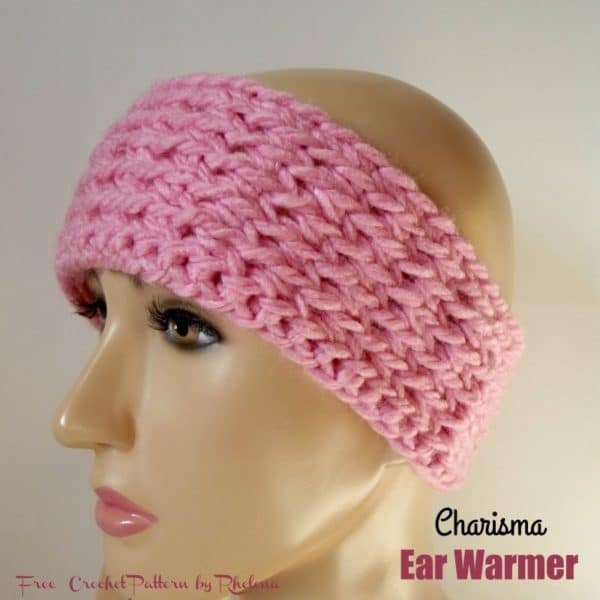 This crochet ear warmer has a lot of stretch in it, making it great for a comfortable fit. It’s crocheted in a chunky yarn, which makes it not only nice and warm, but it also works up quick and easy. 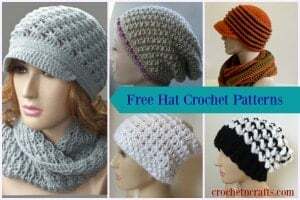 Although given in one size only, this crochet ear warmer is easy to adjust to any size that you need in a simple multiple of two. For children and toddlers you may want to do less repeats of the pattern rounds in order to reduce the width a bit if you like. As for material, I used a chunky yarn, but feel free to experiment with any of your favorite yarns. Just make sure to make necessary changes to your stitch and row counts. To match this free crochet ear warmer pattern, I designed the Charisma cowl and beanie. I started this crochet ear warmer with foundation single crochet stitches to give it a nice stretch from start to finish. I used a smaller hook for the foundation row and the final row in order to maintain the same gauge as for the middle part. The middle is worked with single crochets and chains. And the chains always end up in a tighter tension for me. Finished Size: Measures just over 8″ across. Can be increased in any multiple of 2. Chains do not count as stitches. With 6.5mm hook, leaving a 5″ tail, FSC 48 (or any multiple of 2), Join with sl st in first st being careful not to twist. With tail end join the bottom of first and last sts. Rnds 3-6: Rep Rnd 2. Here is the main category for crochet ear warmers.